With its diverse mix of trees, rolling hills and grassland, Raven Hill Estates, a subdivision of Osoyoos Mountain Estates, is well-suited for those who desire some space while they’re enjoying the great outdoors. Ideal for horse enthusiasts or those wanting to establish a hobby-farm, Raven Hill’s large private lots are perfect for those seeking a more relaxed, easy-going lifestyle. 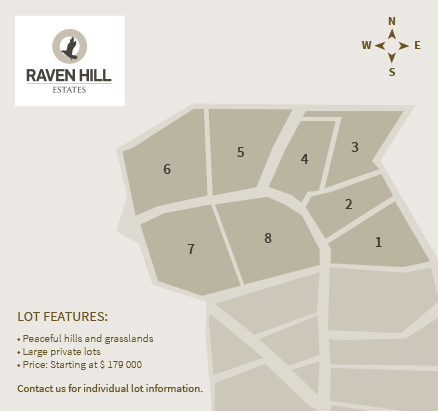 The most developed of all sub-divisions (only eight lots are currently available), residents of Raven Hill have already come together to form their own community.